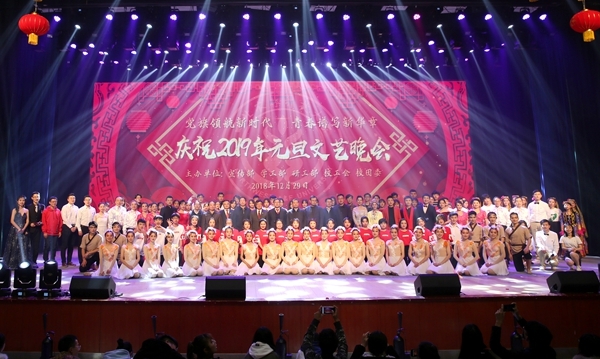 On the evening of December 29th, NWAFU grandly held 2018 Student Commendation Ceremony and 2019 New Year’s Evening Party in the Hall of Xiushan Activity Center on North Campus. 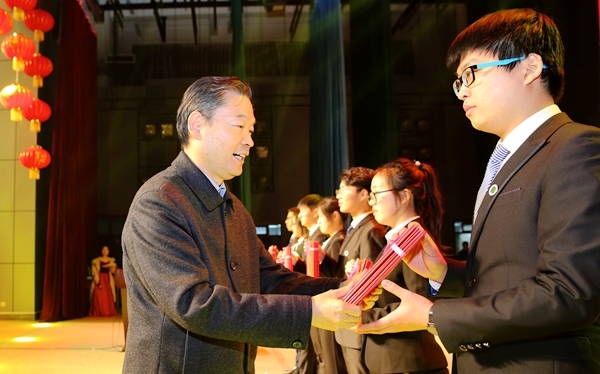 During the commendation ceremony, Xu Yangfu, the deputy secretary of the university Party branch, read out “Decisions on Commending Outstanding Groups and Individuals of 2018”, academician Shao Mingan, secretary Li Xingwang, and other university leaders presented awards to the winners. 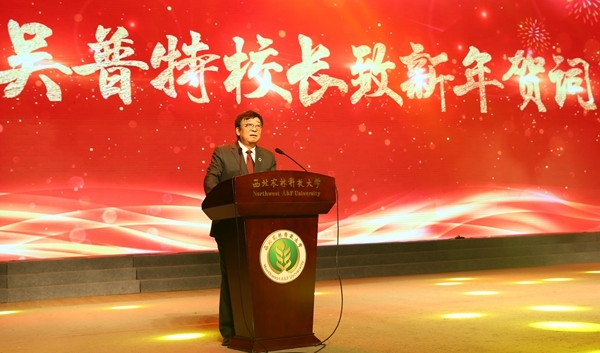 In his New Year greetings, university president Wu Pute indicated full recognition for the university’s progress in achieving core education targets, facilitating rural development, and improving support for students’ growth. He also called on the teachers and students to carry on as usual under the guidance of President Xi Jinping’sthought on socialism with Chinese characteristics for thenew era, thoroughly apply the gist of the national education conference, and reinforce the centenarygoal and fulfil the university’s national service. The university shall work diligently to achieve new success. The New Year’s evening party was closely related to campus life and rich in content. The climactic programs depicted how modern NWAFUers care for the land and the people with strong work ethics. “Piloting the New Era” and “I have a date with 2035” drew a successful conclusion of the joyful musical New Year party, and the university anthem waved greetings to the future.